Helvétia was created not only from diplomatic relations but also out of war. There is no longer bloodshed amongst the people of Helvetia; they like to express their rivalry in another way. They do it by way of a new sport: the Helvetia Cup. 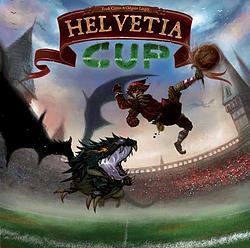 Helvétia Cup is a football simulation game and the box offers you two games, one for family enjoyment and the other for more hardened enthusiasts. 5 minutes are enough to understand basic rules and to start playing the family version. There are hours of game in perspective with either single matches or in competition form for the enthusiasts.